The cryptocurrency world was always pegged for a correction year after the 2017-high which saw the collective market cap balloon to over $800 billion. Since then the market cap has fallen by more than 80 percent, several top-cryptos are now looking at record lows and miners are hastily exiting the market. 2018 appears to be ending on a similar note as it began although with mixed feelings. However, despite the fact that the views regarding the performance of the digital asset market this are unanimous this year, the outlook for 2019 is more diverse. A number of analysts believe that 2019 will definitely be an improvement from 2018, while others see the digital asset market as dead already and in the water. They don’t see a comeback anytime soon. Just few days ago, it was reported that one of the Big Four auditors, PricewaterhouseCoopers (PwC), believes the lack of insurance coverage against the risk of hacks and theft is hindering the growth of crypto markets. It is partly because large fund managers cannot dive into this mostly unregulated market without proper insurance to reduce their systematic risk factors. 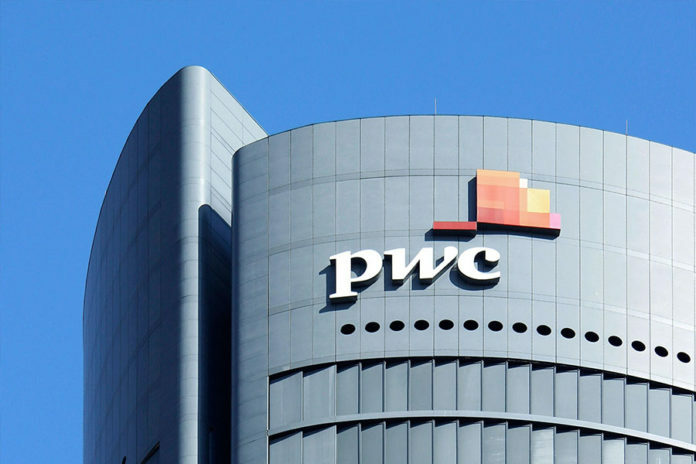 The head of fintech & crypto department in Hong Kong & China at PricewaterhouseCoopers, Henri Arslanian, in his recent interview has shared his opinion according to which, 2019 has a lot of exciting things for crypto. The truth is that getting the buy-in from insurers would mark an important step in crypto industry efforts to show that it has solved the problem of storing digital assets safely following the reputational damage of a series of thefts, and allow it to attract investment from mainstream asset managers. It was also suggested that some high-profile companies might decide to start partnerships with companies from the crypto world because they might want to “boost their portfolios” next year, which can also bring in a lot of money. Arslanian cited Goldman Sachs, a wealthy American bank, which invested in the crypto company BitGo. He also affirmed that these new companies will bring a lot of experience for the industry and that regulation will also be another element that will make the crypto industry become more successful in 2019 than it was in 2019. One of the most interesting bits of what Arslaninan affirmed is that Ripple and its XRPtoken are a great example of how the future of cryptos can be because the company already has many partners and it is being able to move forward its SWIFT-like system. The 4-second transactions settlement for cross-border payments boasted by XRP has gained a lot of traction from the market. He further predicted that 2019 will also observe the rise of security tokens and stablecoins. More and more banks are considering what Ripple has to offer for them and some of them will certainly use the cryptos to make their cross-border transactions more efficient, cheaper and faster. Arslanian believes that the upcoming year will observe an inflow of institutional investors and other players in the crypto ecosystem. He added that 2018 observed the entry of big banks and 2019 will probably see such partnership strengthing. In all this discussion, Arslanian showed his full support to Ripple’s XRP. Noting the competition it poses to the well-established SWIFT, he asserted that Ripple promises quick settlement, which is a game-changing advantage. This feature is ought to invite more and more financial institutions to add cryptocurrencies to their roster. Earlier, in November, the Hong Kong division of global accounting and consulting leading company PwC was involved in the exploration of stablecoin issuing practices in collaboration with the non-profit Loopring Foundation. Looking ahead to 2019, which Arslanian pegs will be a big year for the cryptocurrency world, he stated that less regulatory uncertainty will help the “less nimble countries” to attract institutional clients. He mentioned the case of France, which is regulating the operations of Initial Coin Offerings (ICOs) and the recent bi-partisan legislative push in the U.S. to define digital tokens. We already wrote of how established Wall Street companies slowed their already halting efforts to make a business out of crypto mania this year. They didn’t really give up, but most of them flinched as the value of virtual coins collapsed. However, it seems that many asset managers are still very much interested in digital assets. A Greenwich Associates survey, published in September, said 72 percent of institutional investors who responded to the research firm believe crypto has a place in the future. Last month, Mohamed El-Erian, Allianz’s chief economic adviser said that cryptocurrencies would gain wider acceptance as institutions began to invest in the space. Most have held off investing so far, however, citing regulatory uncertainty and a lack of faith in existing market infrastructure for storing and trading digital assets following a series of hacks, as well the plunge in prices. The total market capitalization of cryptocurrencies is currently estimated at approximately $120 billion compared to over $800 billion at its peak in January. Regulatory uncertainty is another problem for large asset managers. While cryptocurrencies raise a number of concerns for regulators, including money laundering risks, few have set out clear frameworks for how cryptocurrencies should be traded, and by whom.